Indonesia, the fourth most populous country in the world, is emerging as an economic powerhouse in Asia Pacific. With 60% of a population of 250 million being under 30 years of age, growing internet penetration and greater spending power by the middle-class have catalyzed the eCommerce sector. The vast majority of Indonesians don’t own credit cards, so local eCommerce players have developed innovative payment solutions. 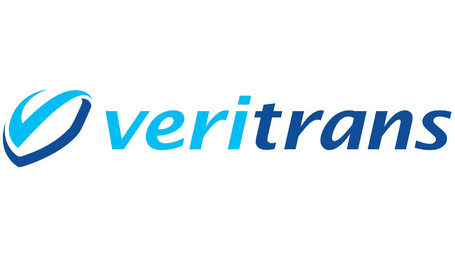 Veritrans was established in October 2012, and in under 3 years, has grown into one of the largest payment gateways in the country. The company processes payments (credit/debit card, internet and mobile banking) for over 1000 merchants, including businesses such as Garuda Indonesia (the national airline of Indonesia), Groupon Indonesia (Disdus) and Rakuten Indonesia. The company has a staff of 85 employees. Competitors include the likes of Doku, iPayMu, Pay88 and a dozen others. Doku alone processed $520 million worth of transactions in 2014, so there’s some serious money flowing through these gateways. A Payment Gateway is a secure online link between a merchant and an acquiring bank. It protects payment details (e.g. credit card details) by encrypting the information and passing it securely between the customer and the merchant, and between the merchant and the payment processor. All merchants accepting credit card payments online are required to comply with PCI DSS. Veritrans is a Level 1 service provider, which is the highest level of PCI DSS compliance. “Our database is mission critical for our business, it is where we store masked and encrypted credit card data, transaction data, merchant and end customer information. With the amount of transactions flowing through our systems, we cannot afford any downtime, performance problems or security glitches. Our databases are fully replicated to a separate DR site. Having a management tool like ClusterControl has helped us achieve our goals.“, says Idris Khanafi, Head of Infrastructure at Veritrans. Closely monitoring and managing the infrastructure is an integral part of Veritrans’ production deployments, and ClusterControl offers a rich set of features to help. ClusterControl collects detailed statistics on system, network, storage and database operations, and helps visualize data so the ops team can take quick and effective action. It also manages everything from anomaly detection, remediation of failures, rolling restarts, mix of full and incremental backups and more long term capacity planning. The ops team is now able to manage their entire infrastructure from one tool, instead of having to develop different scripts to manage their databases. Paytrail, the leading ePayment provider in Finland, also uses ClusterControl to manage MariaDB Cluster across multiple datacenters.